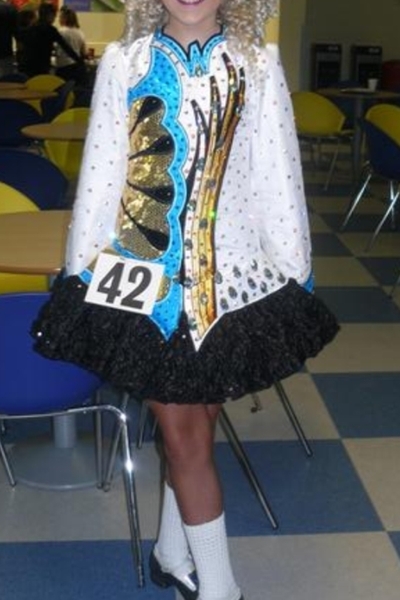 Beautiful Celtic Star dress for sale worn by tall slim U13 championship dancer. Dress was made in January 2012. 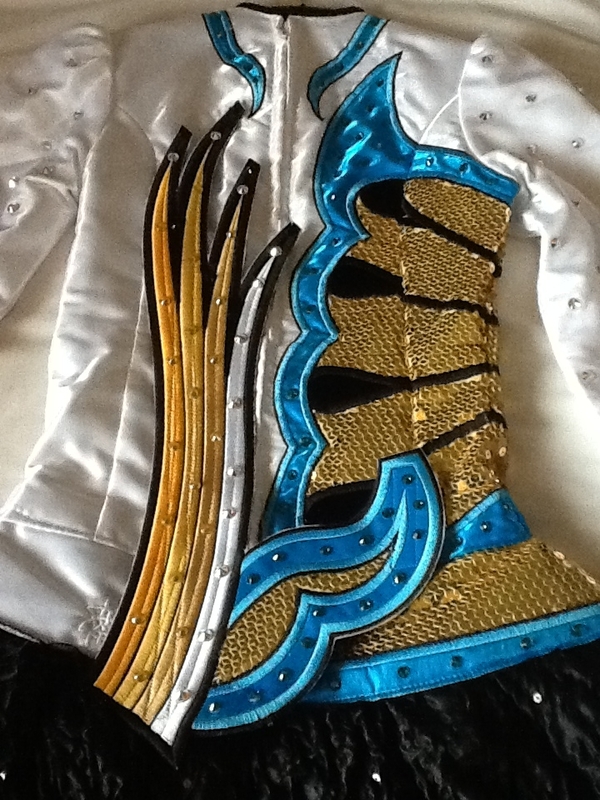 The dress is white satin, with a design in vibrant blue, shades of gold and black. 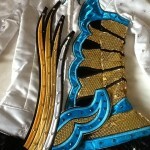 The skirt is 3 layers of soft slightly ruffled material with sewn sequins throughout. 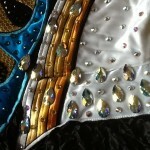 The dress is covered in hundreds of AB, gold, blue and black swarovski crystals, along with numerous large pears. Dress is in excellent condition with no make up or tan marks. Please contact me if you require any further measurements. Dress comes complete with black kickpants and a blue hairband. Keen to sell quickly so please feel free to make an offer. Asking Price: £695.00. Shipping costs are not included in the asking price. Returns are negotiable.